Is it possible to setup client VPN to use certificates instead of pre-shared key? Also can you create self signed certificates on untangle? 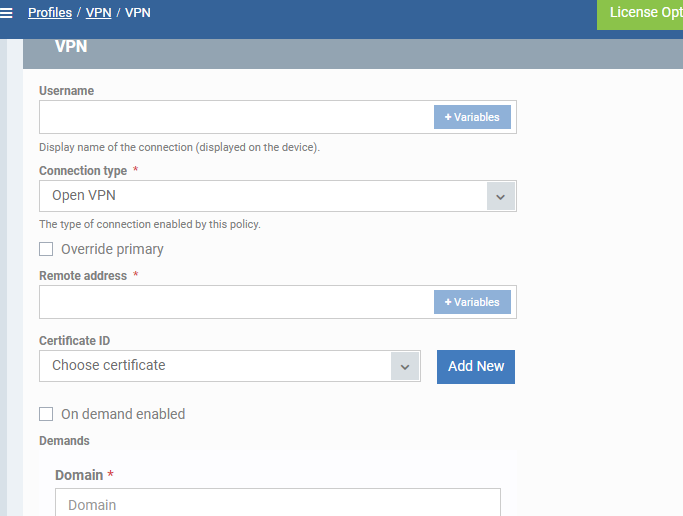 OpenVPN uses certificates by default. It's uncommon in L2TP and not currently possible in Untangle. 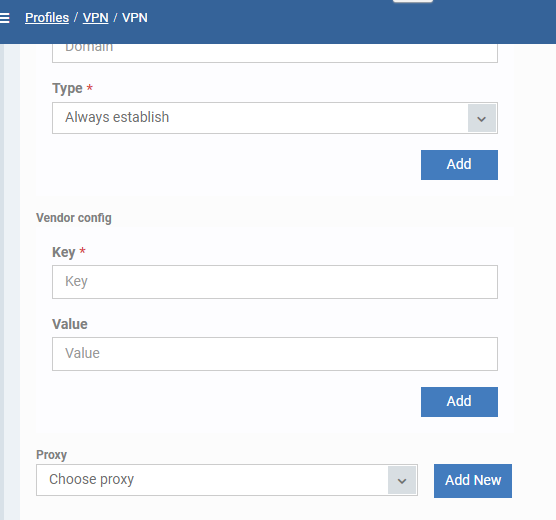 Thanks for the details, the reason i asked is we are looking to setup MDM and i have below options for Open VPN i am not sure on how to set it up so it works with untangle.